People sometimes ask me what my musical evolution was, and my general answer is that, before anything else, Circa Survive got me into independent music. Before hearing their debut Juturna, which turned ten years old on Sunday, I’m pretty sure I only listened to Linkin Park and that one Three Days Grace song. At some point in elementary school, I started spending after-school hours at my neighbor Julian’s house. His brother Jeffrey was always holed up in his room blaring music, and more often than not, he’d be listening to Juturna. 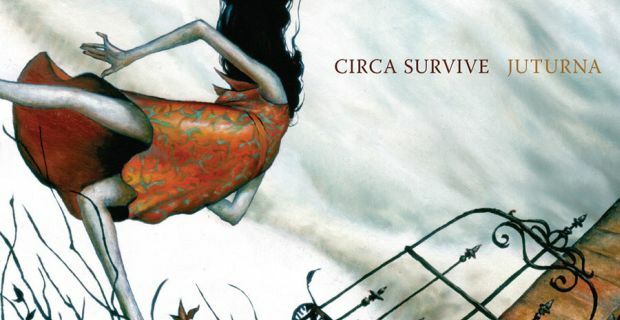 I didn’t know it immediately back then, but when I finally found out that name — Circa Survive — I was hooked. And so began an intimate love for one of independent music’s most influential and standout bands. Looking back to Juturna after ten years proves its lasting power and influence. So many bands that came after attempted to emulate Circa’s effects-laden, atmospheric and psychedelic brand of progressive, almost theatrical indie rock ten years after their debut record, yet none can even come close to the standard that it laid. The growing pains of a band too ahead of its time? Are there any lyrics that sum up the essence of Juturna than those of “Oh, Hello?” The straightforward sociological-panic shown in the opening line and others such as “A stranger’s just someone that you’ve forgotten. How will we know if we’ve met before or done this dance, mystery man?” shows Green’s thought process following a philosophical yet logical progression: in On Letting Go, the 2007 follow-up to Juturna, shows Green no longer in a sort of existential crisis, but in an outright denial of his former God. A narrative reveals itself beneath the band’s rather unorthodox nature. I’ll say it: Circa Survive changed my life. I would not be where I am without having heard bits and pieces of Juturna through a bedroom door or memorizing that goddamn chorus from “Act Appalled.” I’ve grown a lot since first hearing Juturna, but if there’s anything that Juturna left in me, as a music listener way before I ever delved into the hectic world of music journalism, it is that music should challenge the listener, and leave it to Circa Survive to be the band that keeps on challenging, unrelentingly, and in that same vein, always impressing.